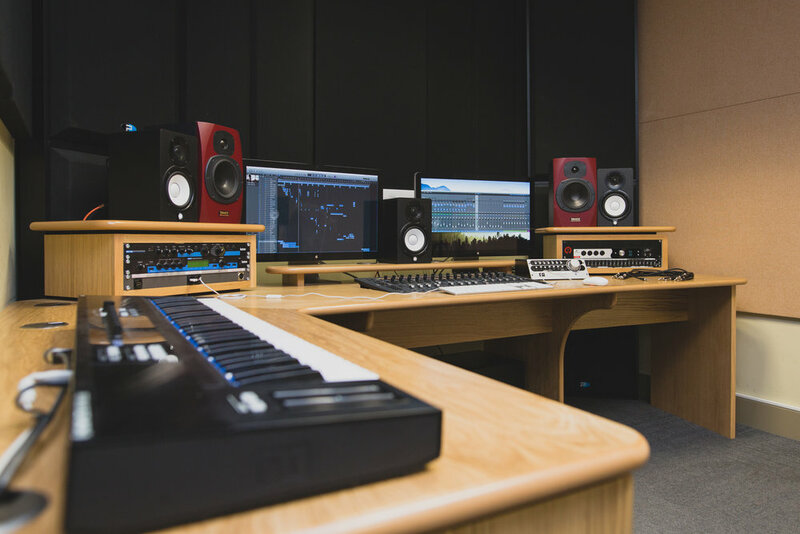 UCLan's flagship tracking studio comprises an acoustically treated live room and an analogue-focused control room. The spacious live room, designed and built by The Studio People, features a Kawaii baby grand piano, an isolation booth, and a cabinet loaded with a variety of industry standard and boutique microphones. On the other side of the glass, the control room features a Audient ASP8024 Heritage Edition console, multiple monitoring options, and a wholly patchable array of outboard preamps, EQs, compressors, and effects. Newly refurbished, Studio 2 is home to the Neve Genesys Black; a large format, digitally controlled analogue console. Combined with racks of outboard gear, 5.1 surround, and stereo monitoring, this studio is ideal for post-production work on film, television, and music projects. This facility is often used to deliver lectures and workshops, allowing students to learn in a studio environment. Electronic Music Studio is the largest of 5 small-scale project studios in the Media Factory. 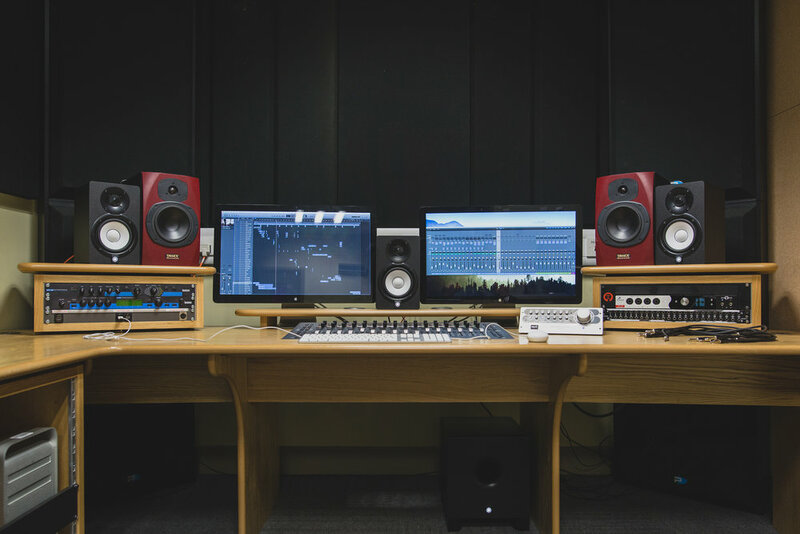 This studio is fitted with an Avid S3 control surface, multiple monitoring options (including 5.1 surround), and a handful of outboard gear to bring students mixes out of the box.